The Nikon D850 is a DSLR camera that combines great resolution and speed. It’s said that when Nikon introduced the D800 and the D800E, it has set a new mark for image quality and high-resolution results. But when Nikon came up with the D850, it has introduced the “next evolution” in improved resolution shots. Nikon D850 DSLR camera can capture clear shots even when the subject is moving at 45.7 megapixels. It carries Nikon’s popular DSLR features like autofocus, dynamic range, sensor design, sensitivity, shutter mechanisms, Speedlight controls, battery life and more. This camera also boasts of Nikon’s great features like Live-View mode, Silent Photography and more. Taking time to purchase the best lenses for the Nikon D850 will boost its performance in outstanding levels. If you are new to purchasing accessories, especially lenses, for your D850 then let this review help you find the ideal lens. We understand how hard it is to find good quality products from all the different lenses and accessories that you will find online. It is also very frustrating to sift through the myriad of lens brands and models and not find the lens attachment that fits your needs. We have rounded up the best lenses of each type to help steer you to the right decision. Hopefully, by the end of this review, you will be able to choose the ideal lens to make your project worthwhile. 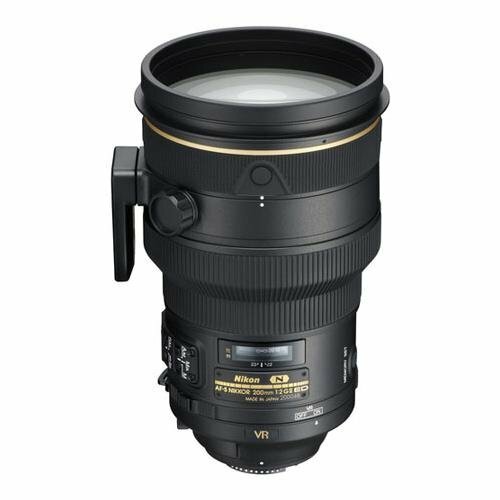 The Nikon 105mm f/2.8G IF-ED Vibration Reduction Fixed Lens is designed for the Nikon D850 DSLR camera. It is the lens of choice for close-up and macro photography with a focal length of 105mm and a minimum focal distance of 1.0 ft. This lens has a Nano Crystal coating and ED glass elements to improve overall quality through reducing chromatic aberrations and flare. This Nikon macro lens has an internal focus feature for faster and quiet auto-focusing without adjusting the length of the lens. It weighs 27.9 ounces, far lighter than other macro lenses. It comes with a 5-year warranty which is a year for international use plus a 4-year USA extension warranty. 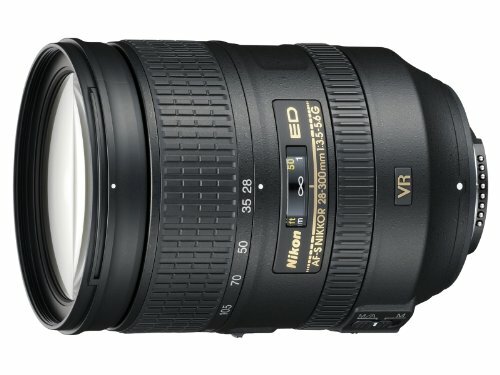 The Nikon 28-300mm f/3.5- 5.6G ED-IF AF-S is the best all-in-one wide-angle telephoto lens with the most updated features from Nikon. It comes with the VR or Vibration Reduction II feature to reduce any unwanted effects when shooting moving subjects. It has 10.7x zoom lens equipped with ED glass for sharper shots on FX and DX-format DSLR camera. It has 2 extra-low dispersion ED elements plus 3 aspherical lens elements for versatile macro shots. Finally, this lens has the Nikon Silent Wave Motor for faster and quieter operations. 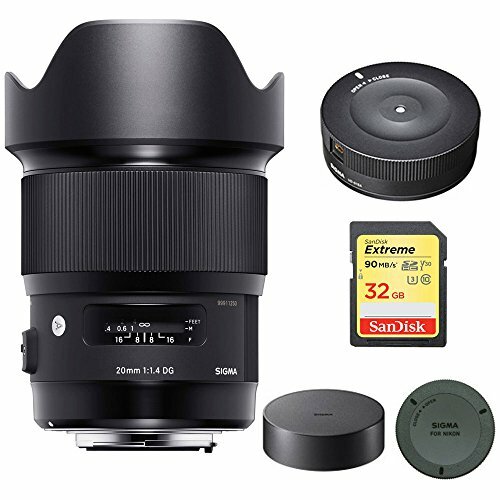 The Sigma 35mm F1.4 ART DG HSM lens is specially designed for the Nikon D850. This travel lens has 35mm focal length with 52.5mm focal length on APS-C cameras and F1.4 maximum aperture to the F16 minimum. It is equipped with the Sigma ring-type AF motor that allows easy manual focusing. This Sigma lens is versatile it is also available for Sony, Pentax and Canon cameras. 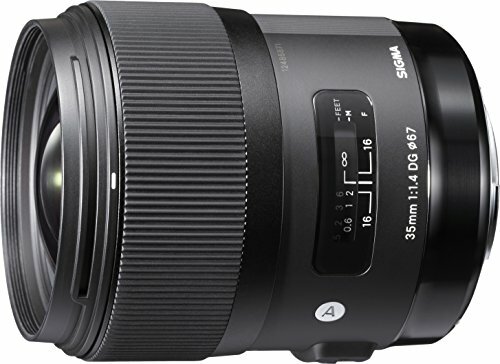 The Sigma 85mm f/1.4 DG HSM Art Lens is a portrait prime lens equipped with the latest Sigma features. It is the latest addition to Sigma’s Global Vision Line with a new hyper-sonic motor (HSM) for fast and easy AF control. This lens is one of the most expensive in Sigma’s exclusive line but most people agree that it is worth the use. This Sigma lens is also compatible with Sony E-mount users with the use of the Sigma Mount Converter MC-11. 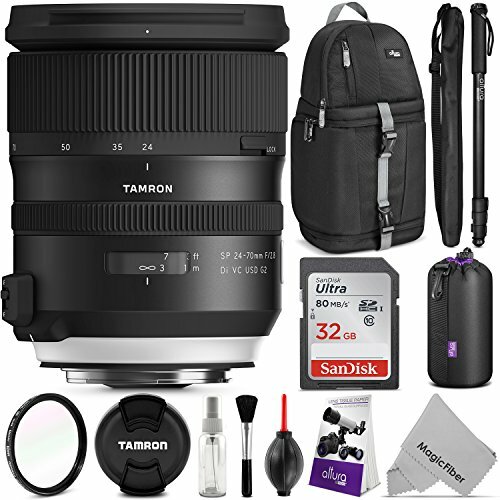 The Tamron SP 24-70mm Di VC USD is a standard zoom lens designed for the Nikon D850. This lens has a focal length of 24-70mm with a minimum distance of 0.38m/14.96 inches. It has F2.8 constant maximum aperture to the F22 minimum and is equipped with the Tamron new ultra-sonic AF motor that allows easy manual focusing. 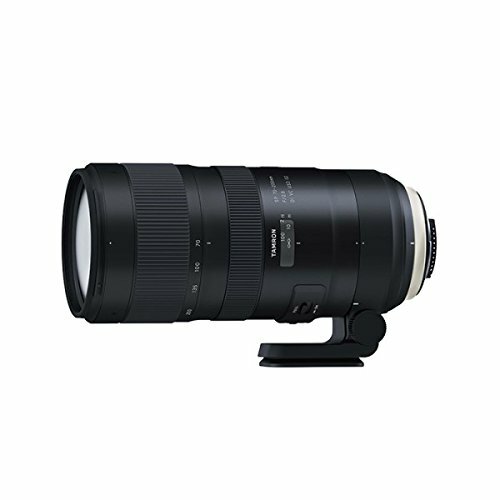 Aside from these features, this Tamron zoom lens comes with Image Stabilization, VC or Vibration Compensation and has a robust construction. And aside from the Nikon F (FX) and the Nikon F (DX), it is also available or the Canon EF and Sony Alpha mount. 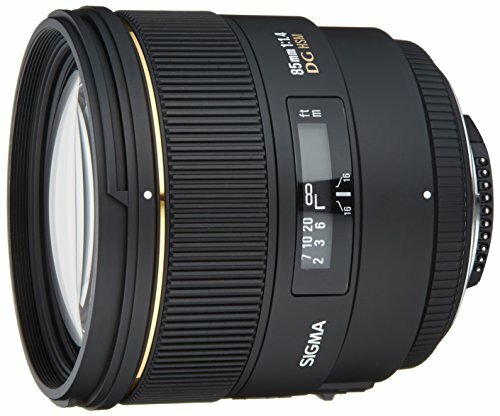 The Sigma 20mm F1.4 ART DG HSM Lens is available for the Nikon D850. It is one of the best wide-angle prime lenses for the Nikon D850 because it is designed to prevent any incidental light from ruining your shot. It also comes with features that can reduce chromatic aberration, ghosting and distortion. It provides good brightness to a variety of shots which makes it a good lens to use for snapshots. All-in-all, this lens is dubbed as the “culmination of art” when it comes to the F1.4 series lenses. 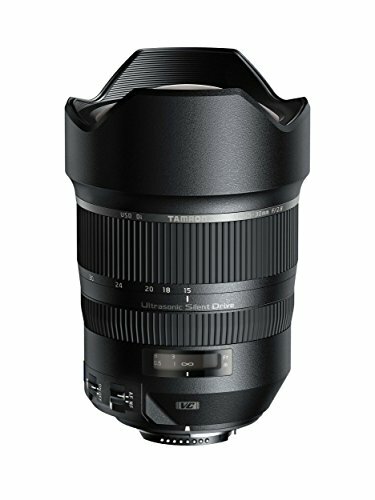 The Tamron AFA012N-700 is a wide-angle zoom lens that is created for the Nikon D850 camera and F (FX) cameras. This lens is equipped with the latest Tamron features that make it one of the best lenses for the Nikon D850. It has Vibration Compensation for better, clearer and sharper images. It has a minimum focus distance of 11in with a focal length of 15 to 30mm. This zoom lens comes with the USD Ultrasonic Silent Motor for easy and fast focusing and quiet operation. This Tamron wide-angle zoom lens comes with 9 blade round apertures for improved lighting effects. Finally, this lens is compatible with full-frame DSLR. The Nikon AF FX Nikkor 200mm is a telephoto prime lens considered one of the best lenses for the Nikon D850 because it has fast shutter speeds and good image results. This lens is designed with the latest in lens technology from Nikon has Vibration Reduction or VRII Image Stabilization to let you take good shots no matter what or where your subject may be. The lens has a Nano Crystal Coating and with the Super ED glass element to produce clearer and vibrantly-colored and detailed shots. This Nikon AF FX lens also comes with an automatic Tripod Detection Mode and has a compact design. 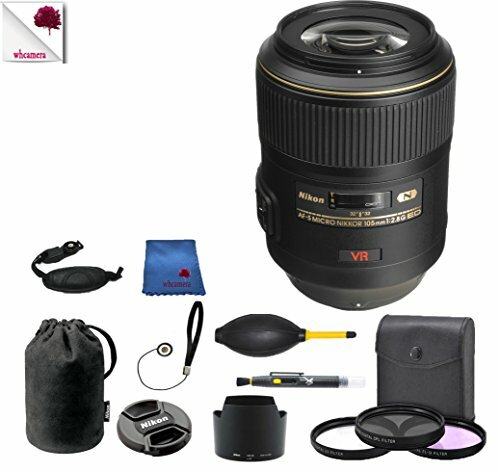 The Tamron SP 70-200mm telephoto zoom lens is built for Nikon FX digital SLR camera. It comes with the VC feature at 5 stops with three modes for a variety of shooting features. This lens is easy to use and hold because it is lightweight and has around and compact design. Finally, this lens comes with 37.4” MOD. This has an Arca-Swiss release plate and can be used by most DSLR cameras. 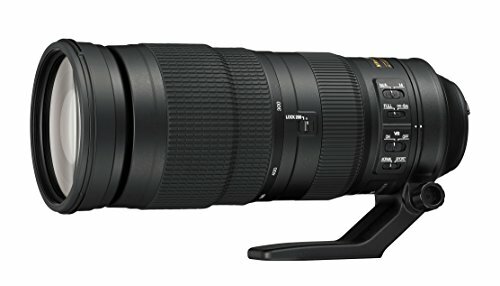 The Nikon AF-S FX Nikkor 80-400mm zoom lens is ideal for wildlife and sports action activities. It is compatible with most FX –format cameras. This can focus as near as 5.7 feet for AF use. This Nikon lens has 95.5 mm diameter x 203 mm and weighs 3.5 pounds along with its tripod lens collar. This lens is heavier than the most zoom lens, however; its features (Vibration Reduction) overlook this small disadvantage since it is able to capture good action shots. 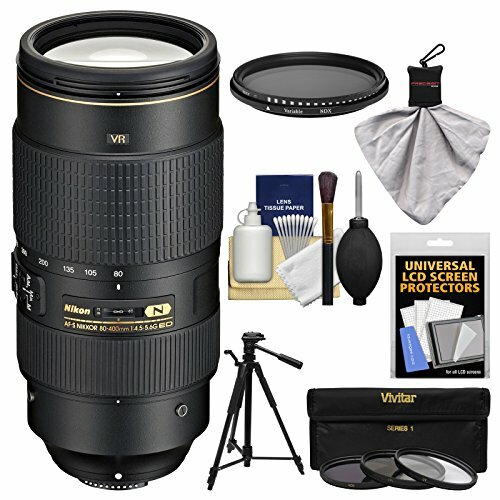 The Nikon AF-S FX Nikkor 200-500mm f/5.6E ED zoom lens is one of the best lenses for Nikon D850 because of its Vibration Reduction and Auto Focus features. Just by looking at this telephoto lens you can tell that it looks robust and compact. It has 500mm zoom capabilities on FX-format DSLR camera and 750mm on DX-format DSLRs. Minimum Focus Distance is 7.2 feet with a focal length range of 200 to 500 mm. This lens has multiple stops when used in Sports Mode and is compatible with TC-14E model teleconverters and DSLRs. Focal Length – the focal length is described as the field of view of a lens. The focal length is actually how much the lens is able to see. Ideally, you want a lens with a good focal length but how good is a good length? A short telephoto lens is for all-around use with a 70mm on a DX and 105 on a full frame camera. Aperture – there is an ideal aperture range for a DSLR camera; choose f/1.2 or f1.4 for maximum aperture. Having this range means that the lens is faster than another lens in allowing light to pass through. Larger aperture values are common in lenses intended for low-light shots. Image Stabilization – one of the most common concerns in taking digital photography is an unnecessary movement which could interfere with the quality of the shot. Choose a lens with built-in image stabilization so you can take great action shots such as wildlife in motion, sports shots, weather and climate shots and more. Lens Mount – large telephoto lens and lenses intended for wildlife and sports photography often weigh a lot compared to other kinds of lenses. A lens mount will help keep the lens in place and allow you to stabilize your camera for that good action shot. Zoom Preference – taking clear zoom shots is a challenge for most photographers and it is often achieved with a lens with 40 to 200mm zoom. Lenses like this work best for sports, wildlife and portrait shots since you can take shots from a faraway distance clearly and with minimal concerns. Lens compatibility – make sure that you pick the right lens that is compatible with your Nikon D850. Most lenses featured here are so versatile that these can be used in other camera brands like Sony and Canon given the right lens converter attachment. The best way to check for compatibility is to look for a lens compatibility tool found on the product page. Make sure that your Nikon DSLR model is also found on the product/camera compatibility chart. You will find buying lenses and other accessories for the Nikon D850 easier when you check out reviews and compare products online. Never settle for any kind of lens for your Nikon DSLR. You must do your research and only when you read reviews and learn more about different lenses that are compatible with your Nikon DSLR will you be able to find the best lens, and other camera accessories, that will fit your photography needs. Enter your email address to subscribe to this blog and receive notifications of Hot Deals and Savings by email.